Please keep in mind that this item is not real silver. They are One Size Fits All and can mold to any mouth size and shape. All of our Grillz sets include reusable silicone molding bars to custom fit the Grillz to your mouth. 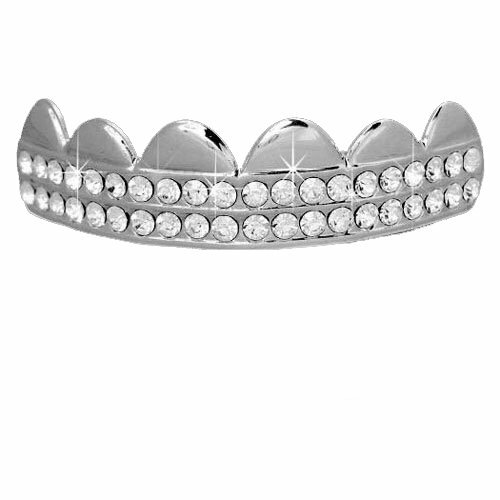 Our sets also include easy instructions to fit your Grillz within minutes. This set includes only the top Grillz.